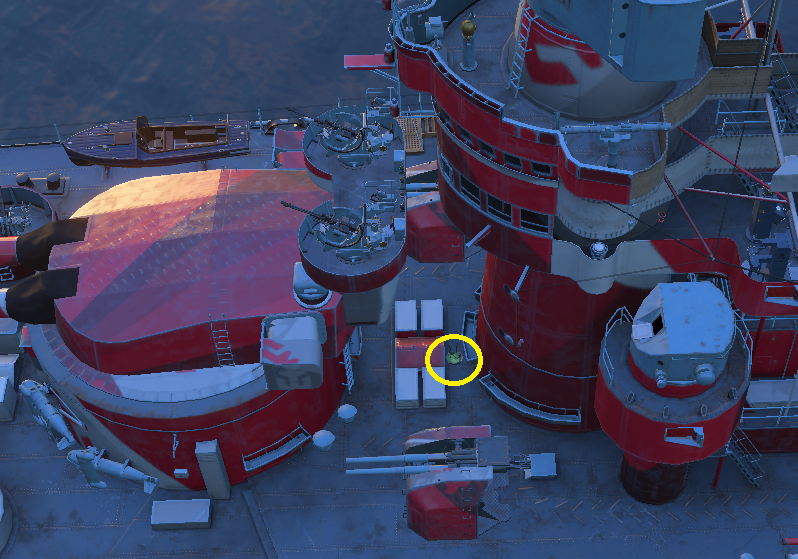 With the new port view I'm wondering about all those Easter eggs that was supposedly on every ship. Personally I like the new view. I'm seeing things I never spotted before. Found this on the Giulio Cesare. Not sure what it is though.